Can you name this boat? We received this message last week. We've got a picture of the boat, we've got first names, careers, and favorite drink. 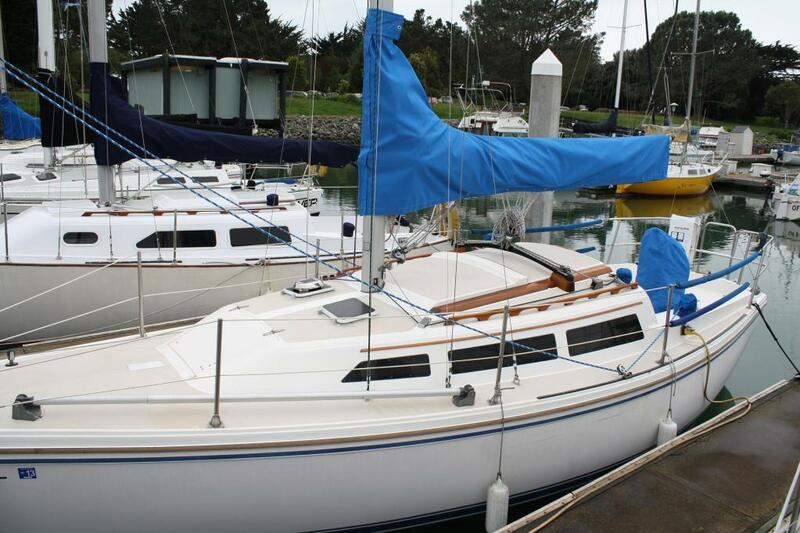 Can you help name this Catalina 27? My name is Jeff and my partner's name is Andrew. I am a lawyer and Andrew is a mortician. We love martini's. Please add your boat name suggestions as comments below. Thanks! A friend has a catamaran with the insane idea of picking up women at the beach but couldn't come up with a name so we went to the hardware store and bought mailbox letters and plastered "Blow Me" on each side, christened it with beer and sent him off. It turned out to be a pretty good name but I think he didn't get the desired results. The boat is gone and renamed so I guess it is up for grabs.